Presidential power is always a hot topic, but never more so than today. This lecture will explain the constitutional limits on the President and how individual rights are affected. The President is uniquely powerful -- but not above the law. Come to learn about the expansion and limits of presidential power and its impact on American people. 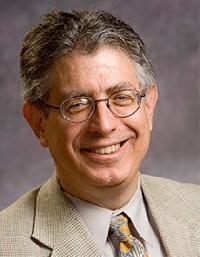 Dan Farber is the Sho Sato Professor of Law at the University of California, Berkeley. He is also the Faculty Director of the Center for Law, Energy, and the Environment. Professor Farber serves on the editorial board of Foundation Press. He is a member of the American Academy of Arts and Sciences and a Life Member of the American Law Institute. He is the editor of Issues in Legal Scholarship. He is the author of eighteen books including Research Handbook on Public Choice and Public Law (Elgar, 2010), Judgment Calls: Politics and Principle in Constitutional Law (Oxford University Press, 2008), and Retained by the People: The SilentNinth Amendment and the Rights Americans Dont Know They Have (Basic Books, 2007). He is also the author of Presidential Administration Under Trump (August 8, 2017). UC Berkeley Public Law Research Paper. Available at SSRN: http://dx.doi.org/10.2139/ssrn.3015591.